Picture of a track renewal project during week-end engineering works carried out near Thornaby, England. 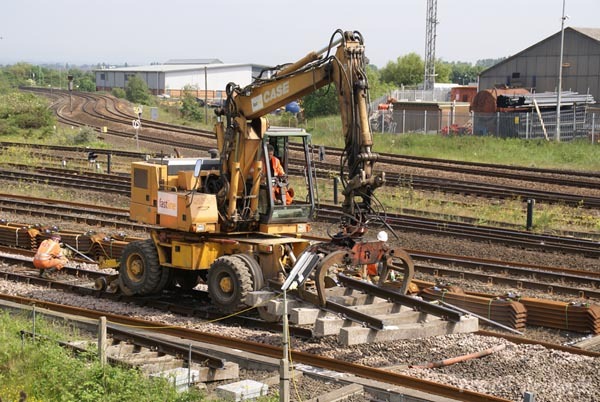 The project involved lifting old track and replacing it with steel sleepered continuously welded rail track. VIEW: More images from the category Track Renewal or taken at the same location or around the same time .